AS CNN iReport nears one millin users, CNN has relaunched its citizen journalism portal. Details from CNN below. Five years since launching the first user-generated content news website, CNN Worldwide unveils a brand new iReport with social features and curation tools for iReporters and all news consumers. With nearly a million registered contributors and submissions from every country on the globe, iReport has succeeded in bringing people together about news in their lives and their broader world. The redesign of the website unveils the new iReport as a platform for storytelling and participation. Groups – iReporters can join communities and follow topics of interest to them like politics, food, photography, technology, as well as groups around some of CNN’s shows. iReporters can also get assignments based on their individual interests and connect with other contributors in ways that they couldn’t before. All-new homepage – a visually stunning homepage which includes an activity feed of followed iReporters and the editorial staff at iReport. The homepage also provides an opportunity to participate in assignments related to topics and groups an iReporter has joined. Profile page – a revamped profile page that is essentially a portfolio of each iReporter. The profile page includes a history of an iReporter’s participation on the site, as well as a feed of their latest activity. The new profile also includes measures of an iReporter’s reputation within the community, with stats like page views, the number of their stories vetted for CNN, how many followers they have and which badges they’ve earned. New rich multi-media player – a 16×9 gorgeous rich HD media player that supports photos, videos and audio that matches the size and quality of the new dynamic CNN.com video experience. Enhanced uploader – a simplified and shorter upload experience that allows simultaneous upload of photos, with the addition of location awareness and improved Facebook and Twitter integration. 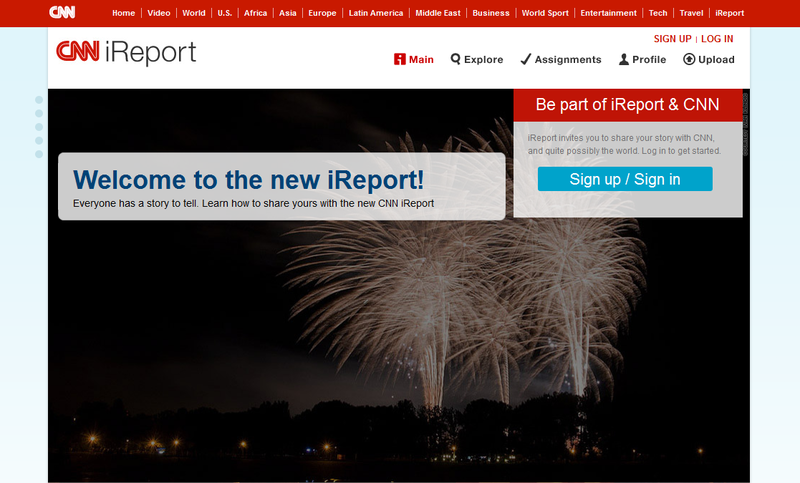 Before the end of the year, iReport will roll out additional new features that will continue to strengthen iReport’s ability to partner and share beyond CNN and position iReport as a platform for participating in the news.